Winter is a great time to take classes. Maybe you want to try something completely different this year. We have some HandmadeMN members who can teach you a thing or two. The Vintage Shop holds a variety of jewelry making classes you can find on their Facebook page. 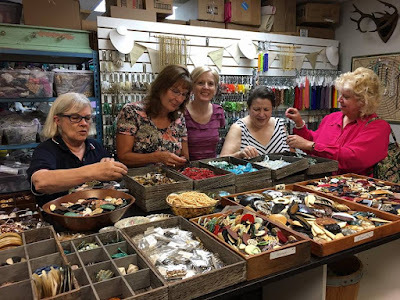 Or gather your friends and book your own event with them.They teach resin layering, cold enameling, epoxy clay and faux druzy classes but are open to whatever you want to learn. They are located in Oakdale, Minnesota. 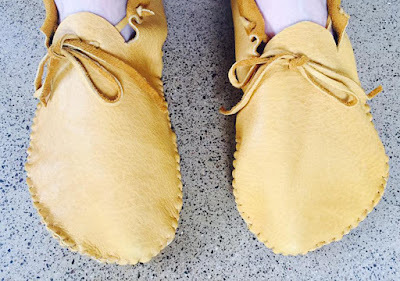 Jerico Mineke of Mienkosmoccs on Etsy teaches how to make your own deerskin moccasins. They look similar to the photo below. Her next class in River Falls, WI in February is unfortunately already full, but she is interested in teaching more classes. Contact her via Etsy or her Facebook page, Mienko's Moccasins, if you have a group of 6 or more and a place to host a class. 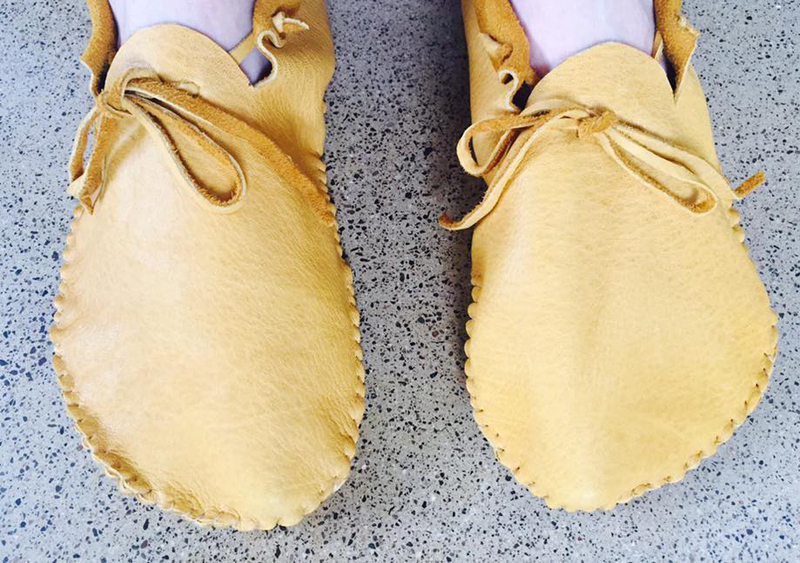 Do check out her adorable baby moccasins in her Etsy shop. Sarah Bober of ReFind Design Jewelry on Etsy has upcoming classes in February at The Edina Art Center. 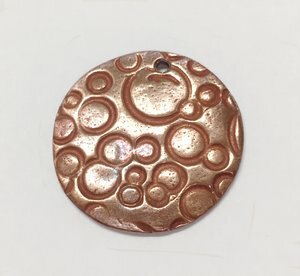 Her Copper Clay Creations class will teach you how to form, stamp, cut and manipulate copper metal clay that is then fired to create jewelry. It's a 6 week class, Wednesdays 6-9pm, Feb 15th -March 22nd. Here's a link from her website for more information and how to register. Sarah has many additional one day classes coming up this year that are listed on her website. Check out local classes at Textile Center in Minneapolis. There you can sign up for a Fabric Art Workshop, Create a Felted Seamless Cowl, or Learn to use Sergers amongst many other offerings here. If you enjoy learning skills online, here's some to check out. Craftsy where you can explore everything from quilting, knitting to woodturning. In addition to classes, they offer kits for sale. Skillshare offers craft classes online including weaving, knitting, textile design, sewing and beyond that to include Health and Fitness. They run a special for 3 months for $.99. That should almost get you to Spring. Feel free to suggest other classes in the comments section. You can find our member's items at these local shops!! Featuring over 100 Local Artists! Handmade accessories, gifts and more! For weddings, babies, and everyday!